LYZ Property Group - a subsidiary of Chinese developer Hengmao Group - has invested $88,888,888 million into purchasing Computershare's HQ in Melbourne, according to The Australian Financial Review. The sale exceeded expectations after the property was reported to fetch $80 million, as reported by The AFR in April. The two level office building at 452-484 Johnston Street Abbotsford comprises 16,000 sqm of office space and 485 car spaces. 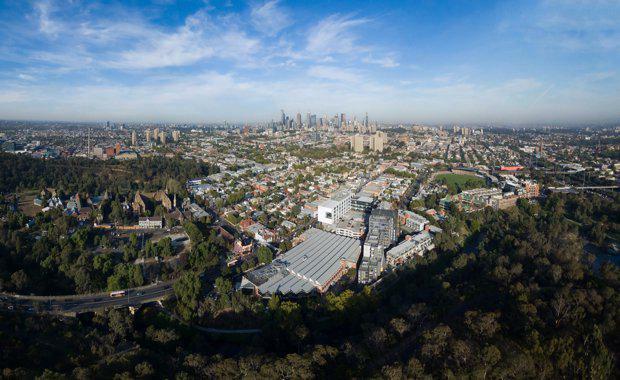 The property sits on 16,920 sqm of commercial land with frontage to Johnston Street and the Yarra River. LYZ Property Group is Victoria's preeminent residential development company. Headquartered in Nanchang, Southeast China, LYZ (a subsidiary of Hengmao Group) has so far developed in excess of 2 million square meters of premium residential property and mix-use projects, including the award winning Hengmao Metro Garden, Hengmao Century Park, Hengmao Metropolis, Hengmao Sunshine State, Hengmao City Lights, Hengmao Forest Sea and so on. What sets LYZ apart from other local developers is its extensive Asian residential development experience of over 20 years. LYZ's capabilities cover every facet of the development process including land acquisition, master planning, project concept and design strategies, marketing, project financing, operations management and asset disposition. A key to delivering the right homes for customers, LYZ aims for classic, timeless and beautiful buildings to be lived in and enjoyed along with affordable pricing to suit the owner. The sale was completed through CBRE.